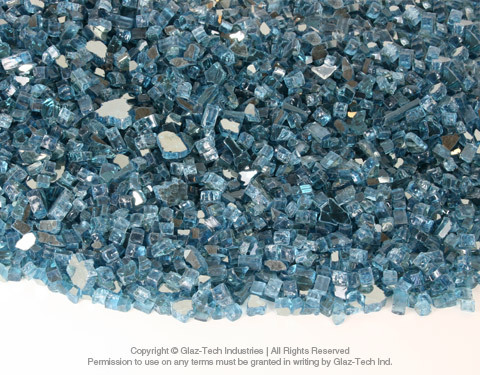 Glaz-Tech introduces a completely new alternative and solution for fireplaces, fire tables, fire pits and even aquariums by using tempered glass chips, otherwise known as fire glass. 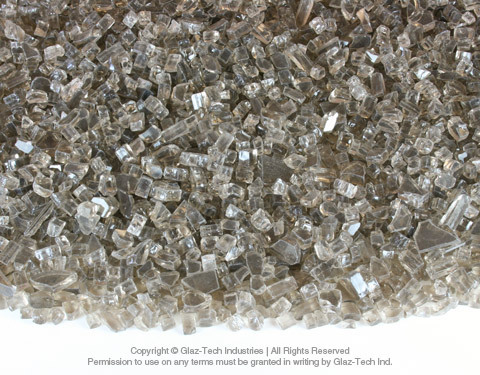 This creative alternative allows jewel like glass crystals to last a lifetime without ever burning, melting and most important of all no discoloring. 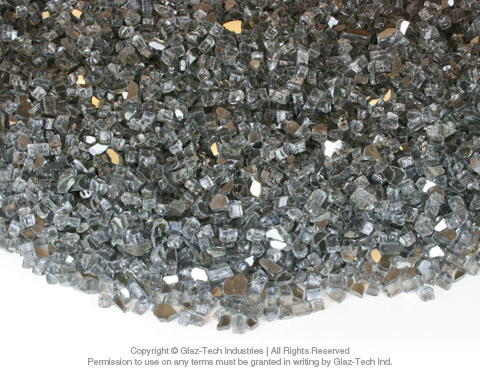 Fire glass chips are growing popularity amongst designers, landscape designers, project managers, and home owners alike. Its modern aesthetic accompanied by a versatile assortment of colors illuminates your interior's or exterior's ambience. Increase the visual look of your fireplace by giving it a custom and vibrant finish. 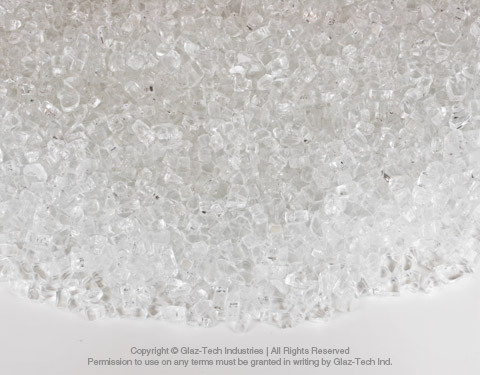 Fireglass is packaged in 10lbs, 25lbs and 65lbs pails. 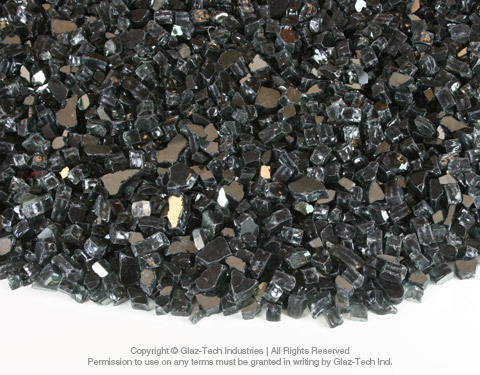 For wholesale pricing contact your local sales representative or visit our retail site at www.glazchipsfireglass.com. 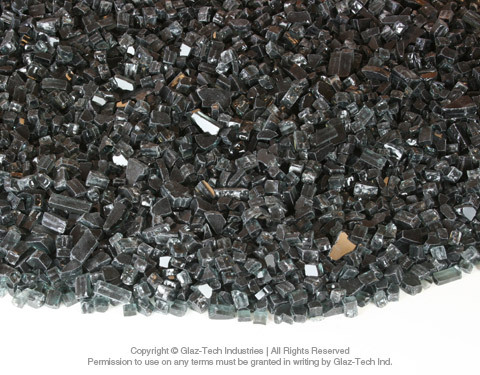 Available : 1/4", 3/8", 1/2", 3/4"
Glaz-Tech Industries provides tempered, crushed and tumbled glass for an alternative aesthetic for modern fireplaces and fire pits. 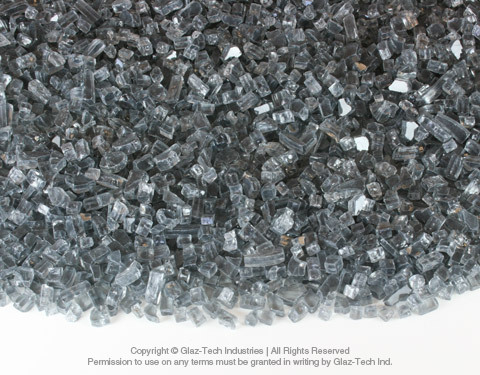 These glass chips are designed exclusively for today's gas fireplaces and fire pits. 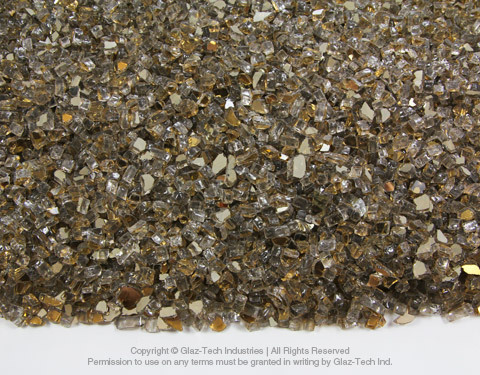 Glaz-Tech Industries does not import nor outsource fire glass for the sole purpose of making sure the tempering process of the glass is done correctly. 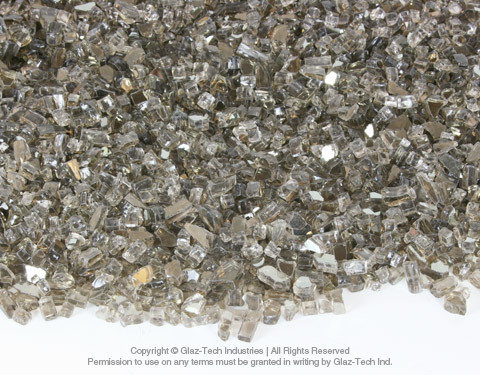 Proper steps are taken to avoid any popping, melting and discoloring of the glass. 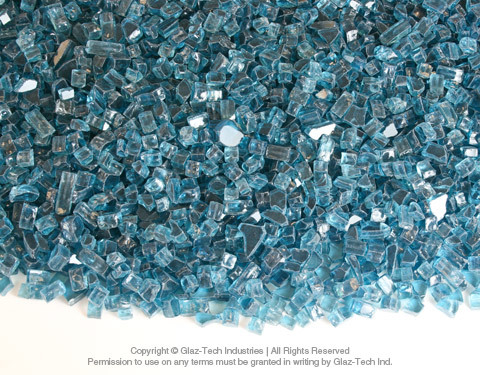 Glaz-Tech only delivers glass that is both vibrant and beautiful in color. 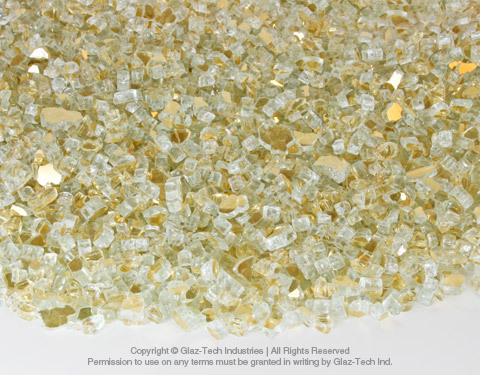 In order to ensure the longevity of your fire glass, Glaz-Tech Industries recommends that your fire glass be used with natural glass appliances. 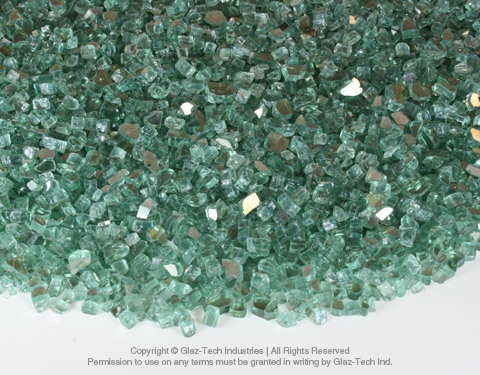 Fire glass is highly recommended for uses in indoor fireplaces, outdoor fire pits and fire tables. 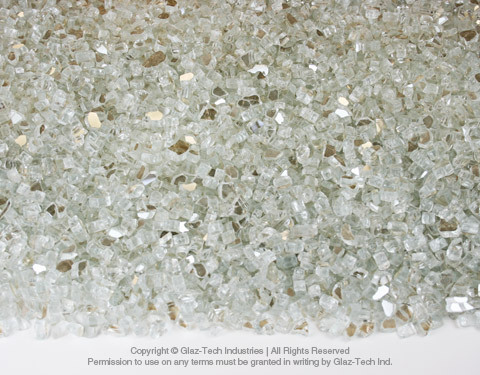 Other recommendations include fire pans, aquariums, landscaping and terrazzo. 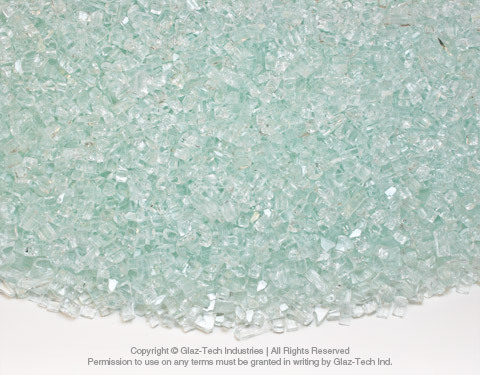 Please be advised that although Glaz-Tech does recommend using fire glass with natural gas, propane still can be used. However, due to the characteristics of propane gas selecting dark colors is recommended. 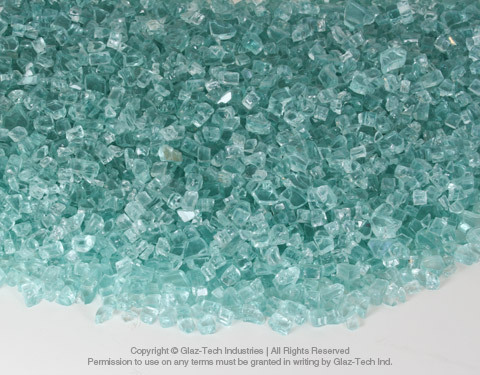 The question that eventually arises is how much fire glass to use. We built an online calculator based on indoor fireplaces, square and round fire pits that you can use to let you know how much fire glass you will need. 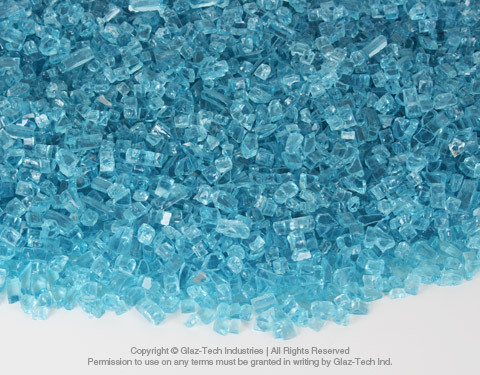 Best yet, read some of the tips on how to save more money by adding clear glass as fillers and then applying your color of choice. 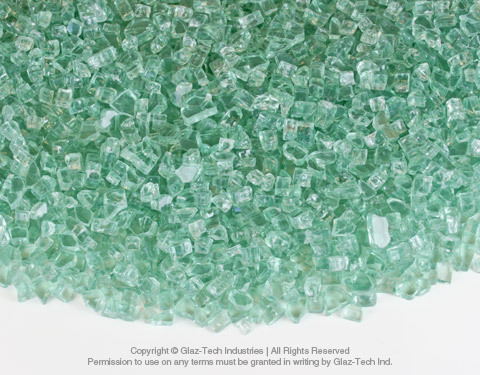 Visit our Online Glass Calculator today!